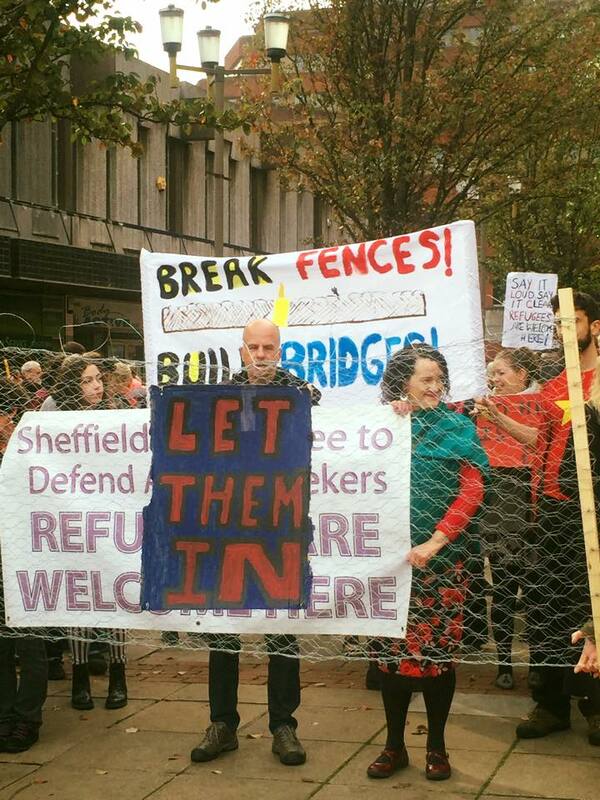 “Say it loud, say it clear, refugees are welcome here” was the call from 250 people on a march and rally in Sheffield on October 10th. “Refugees are human beings. Fences are for animals”. 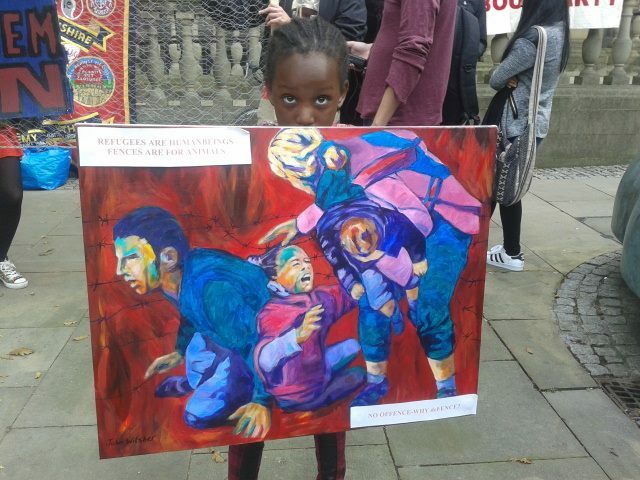 Activists and artists from Hope and Dignity. Not only was there a good turnout for the march – called by the South Yorkshire Migration and Asylum Action Group – but it was supported by many organisations: Sheffield University Amnesty International, Sheffield Unite Community Union, Nether Edge and Heeley Labour Party, Sheffield Green Party, Sheffield Trade Union Council, ASSIST, People’s Assembly, Sheffield City of Sanctuary, Committee to Defend Asylum Seekers, Hope and Dignity and many refugee organisations. 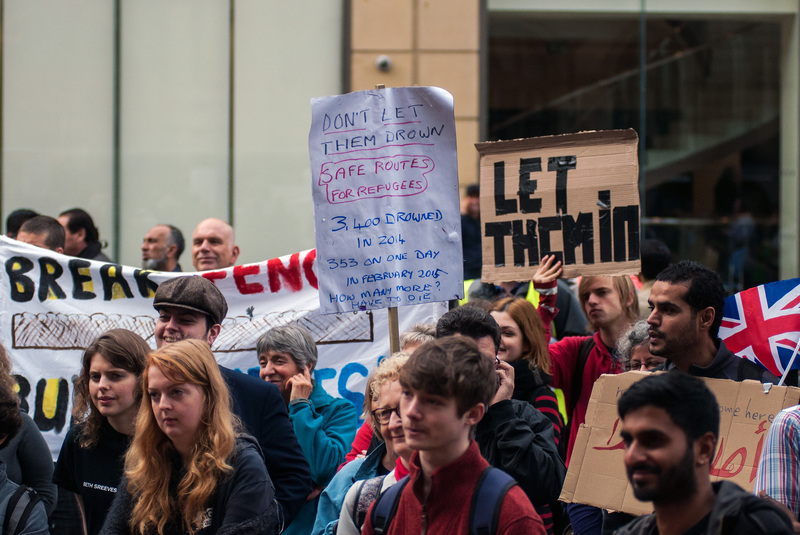 The march was led by refugees and university students carrying a replica border fence! Tesfam, a refugee from Eritrea stressed the need to address the underlying causes of migration from his country. 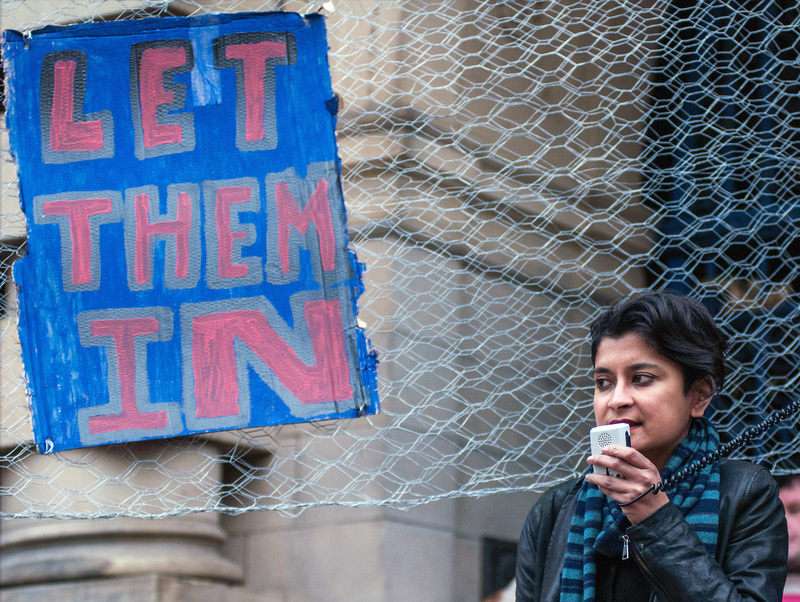 “To say ‘Don’t Let Them Drown’ is only the start, we need to look at the colonial roots of this refugee crisis. My country was wealthy”. 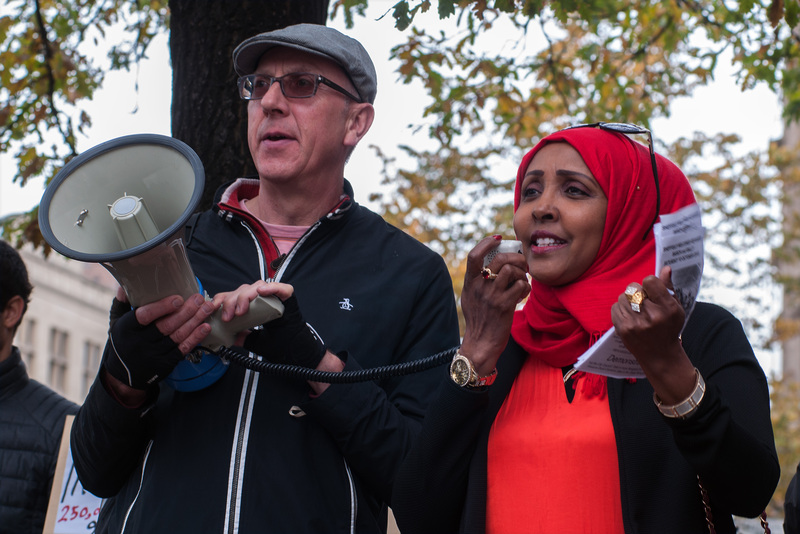 Tesfam explained that his grandfather had been killed by the British colonial forces in Eritrea in 1941: by a soldier from Rotherham in the Yorkshire Regiment. 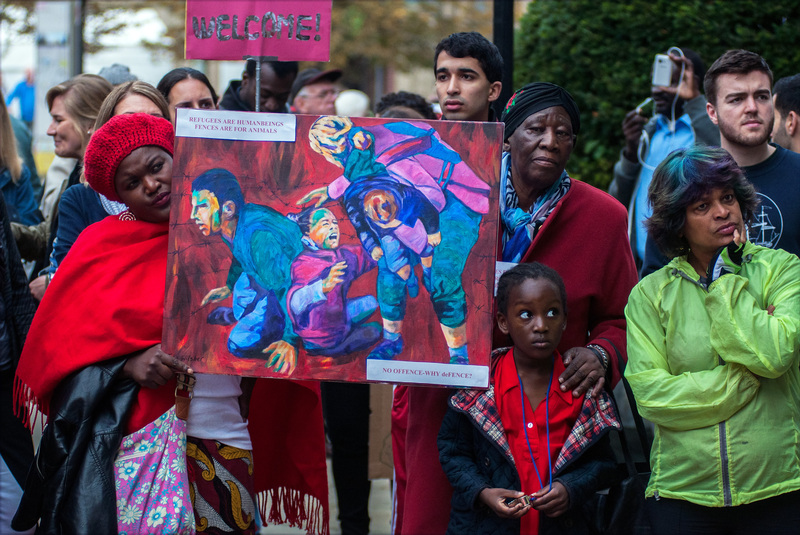 Tamara had just returned from a support visit to the Calais refugee camp and explained how conditions there undermined people’s humanity. 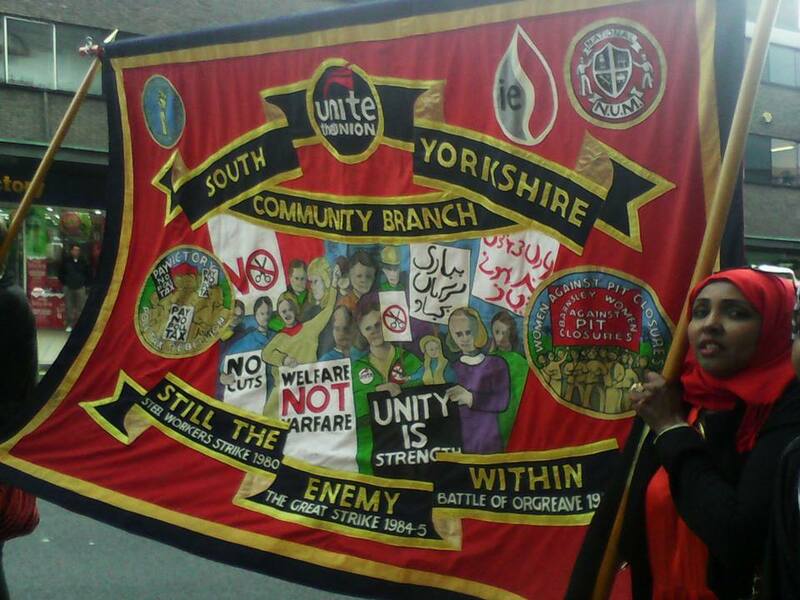 We marched up The Moor shopping precinct to a mixed reception: some applause and curiosity, some hostility. It certainly wasn’t possible to ignore 250 of us chanting loudly, many dressed in red to symbolise the blood spilt trying to reach safety. Perhaps the sight of real asylum seekers in person will make people think when they next hear refugees described like animals. 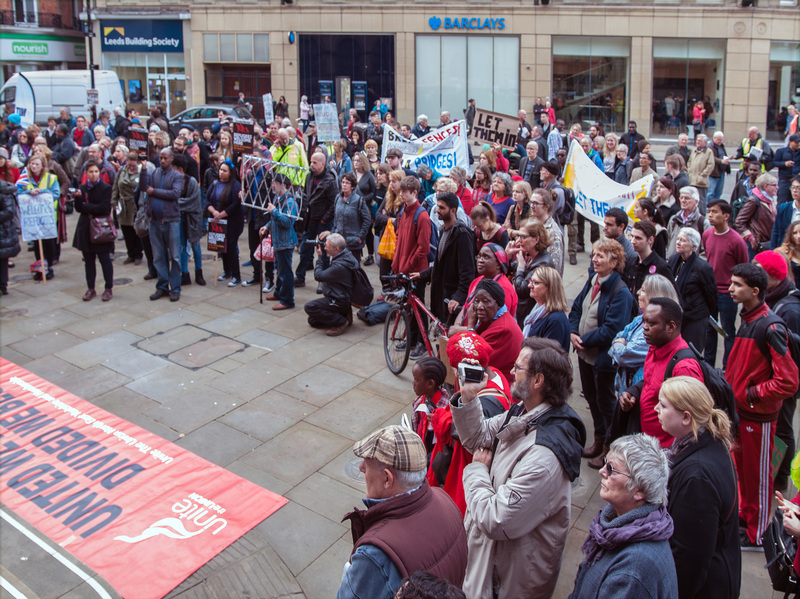 We ended at Sheffield Town Hall for a rally addressed first by Shami Chakrabarti, Director of Liberty. Shami congratulated the marchers for “shaming politicians” and explained that “human rights abuses are so often used as a justification for war ‘over there’ but never for human rights’ protection ‘over here'”. John Dunn an ex-coalminer on strike for a year in 1984-5 told us about his holiday on the French Riviera involving a chance encounter with the Ventimiglia migrant border camp. 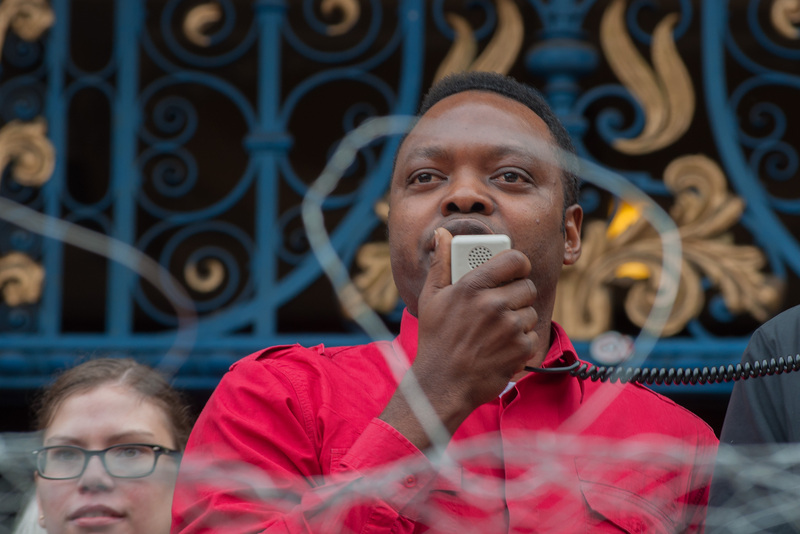 He compared the violence of the British state against striking miners to that of French and Italian police against the Eritrean and Sudanese inhabitants of the border camp. 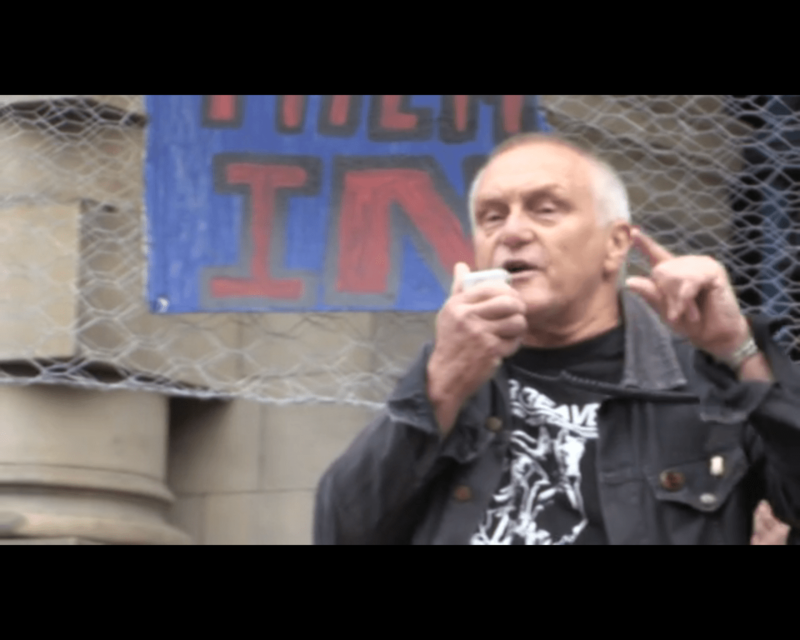 “Governments always want an external enemy, it was us (striking miners) in 1984 now it’s migrants escaping persecution and war”. He called for solidarity from trade unions and announced his intention to establish a “Miners For Migrants” group. Only a month after the picture of Aylan Kurdi drowned on a Greek beach, Theresa May signalled the end of any show of compassion, blaming migrants for destroying ‘cohesion’ in the UK. But for many people around Europe ‘migrants’ became seen as human beings, efforts were made to welcome refugees, mountains of goods for refugee camps were collected. 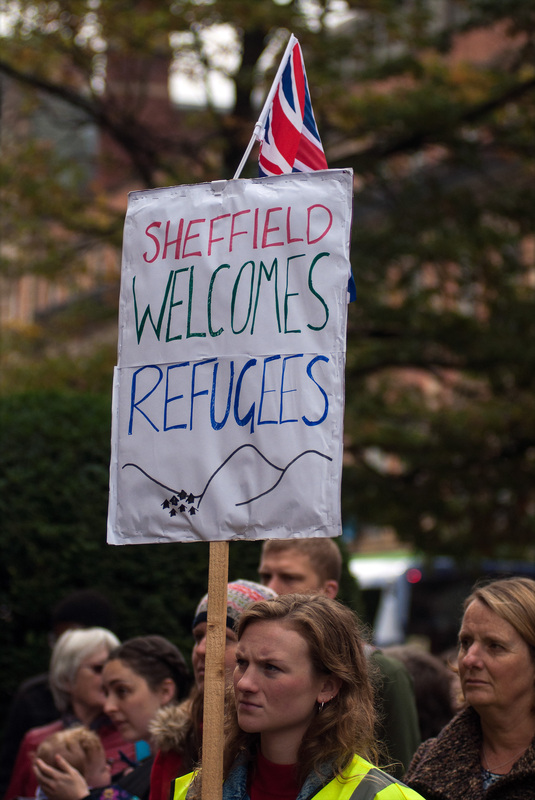 We want Sheffield City Council to match this solidarity by resettling many more refugees in our ‘City of Sanctuary’. 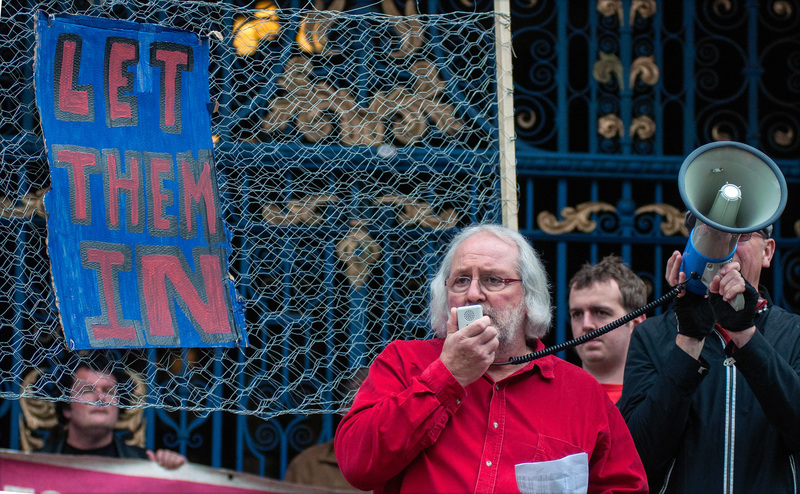 We want the UK Government to grant asylum to people currently living in desperation in camps around Europe. Our movement isn’t going away. 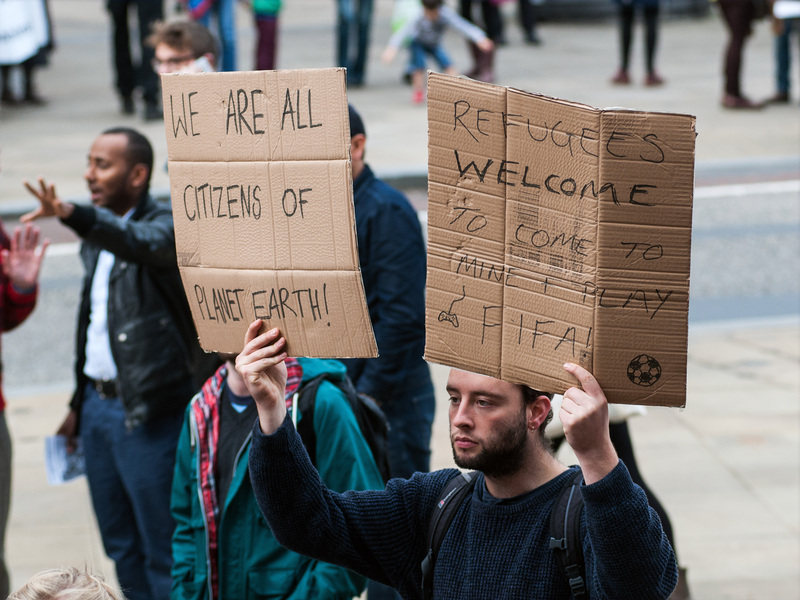 Neither are people escaping war, poverty and persecution. 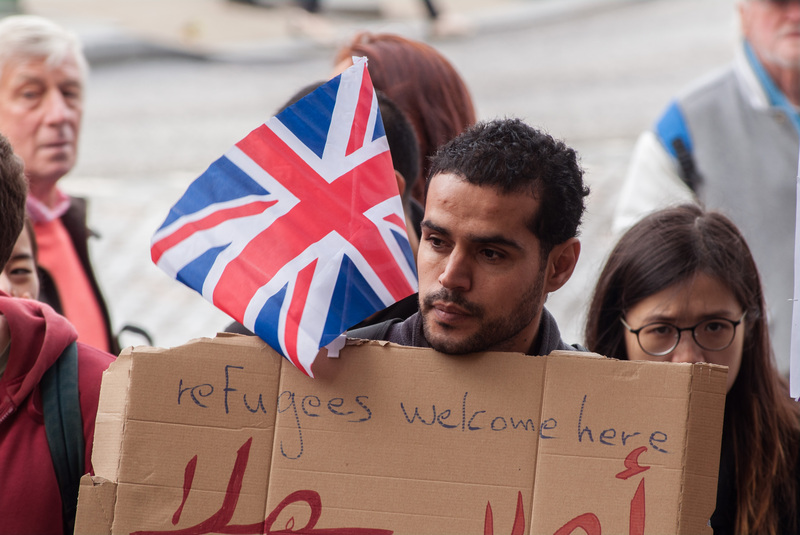 Do you want to volunteer to support refugees?